If you want to build a website and you are not a web developer this drag and drop page builder plugins can help you. With these plugins, you can build a website easily and all process doing with drag and drop. It’s lovely, doesn’t it? For this job, there are several free and premium plugins and in this article, we going to introduce 5 best drag and drop WordPress page builder plugins for 2018. 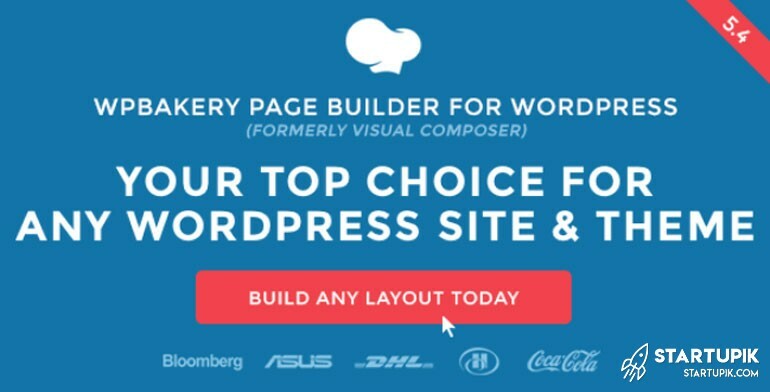 What is a WordPress page builder plugin? A WordPress page builder plugin is a plugin which gives you elements for creating web pages and you can move, add and, remove these elements with drag and drop. Themify Builder is one of the powerful WordPress drag and drop page builder plugins that help you to create awesome web pages with elements. There are some over 20 useful modules in the free version of the plugin. You can drag and drop the modules easily both in the backend interface and front-end mode. This drag and drop page builder plugin comes as a standard feature for all Themify themes. You can also use Themify Builder with any third-party WordPress theme you want. Custom Styling: You can customize various styling options including background color, padding, margin, Google fonts and, border etc. Responsive: You can create grids with responsive rows and columns easily. Resize and reorder the columns as you like. SiteOrigin is another perfect WordPress drag and drop page builder plugins. You can create your site pages with drag and drop easily. This plugin is downloaded over 1 million times in WordPress Directory. Also, SiteOrigin needs 4.4 or higher version of WordPress. Live Editing: Edit widgets and your content in real-time with live previews. Convenient Row Builder: Add as many rows as you want, split the rows into the exact number of columns and provide precise weight to each column. History Browser: History tools allow you to roll forward and back through your changes. Divi Builder is a popular name in WordPress drag and drop page builder plugins. Many of WordPress users use this plugin for their sites and many web pages are built with this plugin. You can create your site pages with Divi Builder easily. This plugin has over 40 awesome designed content blocks and modules. Everything you should do is drag and drop. Add Custom CSS: You can adding custom CSS to every element you want in the site. Endless layout possibilities: Create any type of design with 20-row types, 3 section types, and over 40 content modules. Probably you heard this name. WPBakery page builder or Visual Composer is a name of one of the best WordPress drag and drop page builders. An awesome plugin with a lot of elements that help you to create beautiful web pages for your site. 50 perfect element can satisfy any WordPress user to use this lovely plugin. Extensive Elements: There are several content elements, layouts and also options to use over 150 exclusive third-party add-ons. Front-end and back-end content editing: You can experience both the front-end and backend editing with this plugin. Finally, its time to introduce Elementor. Elementor is a useful WordPress drag and drop page builder plugin and many of webmasters use it for their sites. This lovely plugin has 28 useful elements that you can use for your web pages. Template library: There are over 20 awesome page templates designed for a professional look in this plugin. Total customization over layout: You can customize the web pages completely in the way you like: Customize CSS in each element you want.